In the early 1950's, through his friend John Cage, Feldman met Philip Guston, along with many other artists of the New York School. 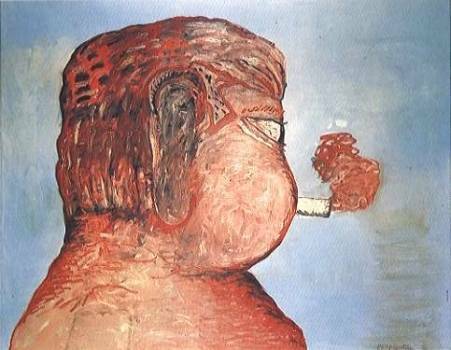 Guston became Feldman's closest friend. This close friendship broke up in 1970. The rift was precipitated by Feldman's failure to respond positively to Guston's new work, the first in his later "cartoonlike" style. In 1978, Guston painted "Friend - To M.F." - a portrait of Feldman in profile, his head turned away: "an image of their mutually regretted estrangement"(Robert Storr, Philip Guston, p50).